As a landlord, you’re keenly aware that every day your unit sits vacant, you’re losing money. If you have a tenant who is ready and willing to move in sooner, it doesn’t make sense to wait until the first of the month to sign a lease. While for accounting purposes you may want to start leases on the first of the month, it might make sense to have a tenant moving in on the 15th or 25th and charge them only for the days the occupy the unit. In this case, you would ask for a partial rent payment. This is known as prorated rent. Unless you enjoy calculating sums in your spare time, it’s much easier to move a tenant in on the first day of the month – at least with the industry standard starting leases at the first of a month. Since this isn’t very realistic, we’ve provided a landlord’s guide to prorated rent. Read on to learn what it is, when it applies, how to calculate it, and important tips to keep in mind. Prorated rent is the amount you charge a tenant for the number of days they occupy the unit, based on the monthly rent. Rather than charging a daily or weekly rate (which is typically more expensive), the monthly rent is prorated by the day. Whatever the percentage of the month your tenant occupies the unit is the percentage of the monthly rent they would pay. Since there’s no legal reason the monthly payment date needs to be on the first day of the month, some landlords might choose to make the rent payable on the date the tenant moves in. For example, if they move in on August 7th, rent would be due on the 7th of each month. If you have multiple units, this could mean that you’re doubling your workload by collecting rent all throughout the month. Typically landlords find it easier to prorate rent for a short first month and make the rent payable on the first of the month thereafter to keep all units on the same schedule. Other cases where prorated rent might apply would be when a tenant moves out before the last day of the month when the lease expires on the first day of the month, or when a tenant needs to stay one or two days beyond the end of the lease term. There are several ways to calculate prorated rent, but all involve determining a percentage of the rent that is equal to the number of days in a month they will reside on the property. Keep in mind your tenant’s occupancy agreement before settling on a single equation. This method is simple to calculate and easy to explain to tenants. Take your monthly rent and divide it by the number of days in a month. You multiply this amount by the number of days the tenant will occupy the unit. For instance, say a tenant is moving in on the 25th of September and the full rent is $1,200. Calculating by the number of days in a month would look like this: 1200/30 x 5=200. Therefore, $200 would be the prorated rent. Since the number of days in a month vary and your rent may fluctuate depending on the season, the prorated rent will likely be different each time you calculate the results. The above equation may be beneficial for renting to tenants who have agreed to rent on a month-to-month bases or less than a year. 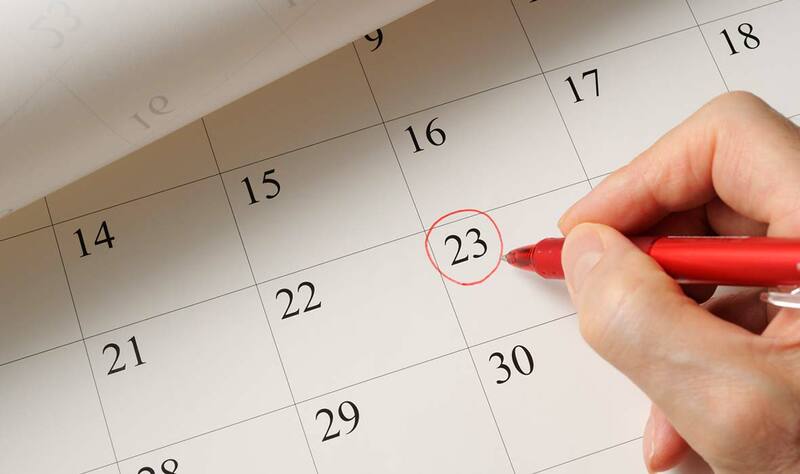 Although you don’t need to be a mathematician to prorate rent by the number of days in the year, you may have to draw out the figures to explain it to your tenant. It works like this: take the monthly rent and multiple it by 12 to find the total yearly rent. Then divide the sum by 365 to determine the daily rent. Once you find the daily rent, you multiply it by the number of days the tenant will occupy the unit. The equation below calculates a slightly higher yield and may be beneficial for determining the price tag on a longer lease, such as a year’s length. Let’s go back to our example. A tenant is moving in on the 25th of September and the full rent is $1,200. This means that the tenant will occupy the unit for 5 days in the month. Your calculations would look like this: (1200 x 12)/365 x 5=197. This makes $197 your prorated rent. There are benefits to each method so it’s up to you to determine which way works best for your rental property business. Since rental demand is higher in the summer, it may be an advantage to calculate prorated rent by the month at certain times of the year. It is also believed to be preferred by tenants, as the methodology is easier to understand and it tends to be cheaper for them. It’s good practice to use the “by the number of days in a month” methodology when prorating a month-to-month or 6-month lease, and “by the number of days in a year” for a year-long lease. If you don’t feel like doing the math yourself, RentVine has a great calculator that does the dirty work for you! Put your prorating policy in writing or incorporate it into your lease contract, so there are no surprises or conflicts down the road. If it’s a leap year, divide your yearly prorated calculation by 366 days instead of 365. Generally, it is not your responsibility to prorate rent if a tenant signs a lease on the first on the month, but chooses to move in later. The same applies if a tenant’s lease runs to the end of the month, and they choose to move out earlier. Being fair when it comes to prorating rent will help establish a respectful relationship with your tenant and help you maintain your good reputation as a landlord. This is especially true for a tenant who is just moving in, as it sets the tone of how you will handle future business with them. Make sure that when prorating rent you keep the first month’s rent and security deposit separate. Security deposits are handled differently than rent payments. There are also some states that require landlords to keep the rent and security deposit separate. While you don’t want your unit to rack up expenses while vacant, you also don’t want to rush in a lower quality tenant for a few days of prorated rent. There are ways to rent your property quickly, without sacrificing on a thorough tenant screening. If you’re ready to find great tenants with accurate detailed reports that are available in a matter of minutes, get started with TransUnion SmartMove today.